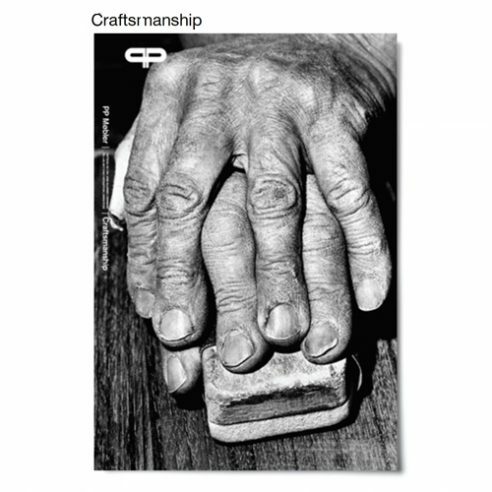 Printed in black and white on art paper this poster features the hands of one of PP Møblers most celebrated cabinet makers. PP Møbler is Denmark’s leading cabinet makers with a well earned reputation as being one of the world’s most important and highly skilled workshops. Included amongst the designs featured on the poster are the most iconic chairs by the Danish Designer Hans J. Wegner.